A ten-day celebration of all things New Zealand beer. Food matching is big on this year's agenda. Shepherd Restaurant together with North End Brewing and microbiome scientists of the Riddet Institute will present a four-course matched foray to encourage a deeper understanding of positive (and negative) gut bacteria. For the third year running Fork Brewing will host Baconation III, a sensory five-course degustation where beer meets bacon. Behemoth Brewing will launch its new Hazy IPA with a lineup of gourmet dogs and Serial Griller will park up at Golding's to sling post-Beervana burgers. To help you burn it all off, Southern Cross will host a 45-minute guided yoga session on Sunday 5 August, followed by a tasting session from Sawmill Brewery and an opportunity to meet the makers. Elsewhere on the lineup, Bach Brewing will attempt to recreate the magic of summer on the Rogue and Vagabond lawn with sun lamps, sand and surf rock; the nation's favourite brewers will compete against the public in a giant Mario Kart 64 championship; Marlborough's Framingham Winery will bring its annual harvest festival to Southern Cross; and Malthouse will explore the perfect gin and tonic for some reason. Those unfamiliar with the capital's craft beer circuit can sign up for a self-guided tour of Te Aro's seven best brewpubs. The ticket price includes a special offering from each participating venue including a tasting glass and tasting tray. From 10-11 August, all roads lead to Beervana. 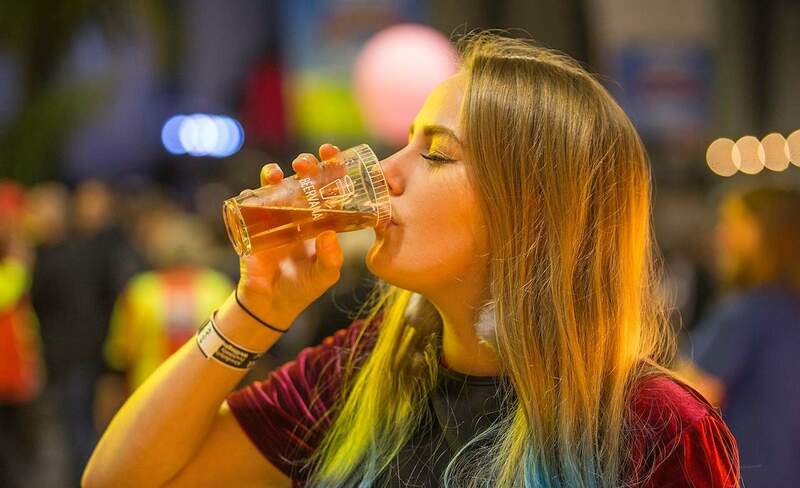 More than 50 breweries from Whangarei to Invercargill will present their latest concoctions at the headline event. All beer will be served as 75ml ($2-$6) or 250ml ($5.50-$8.50) tasters so it's the perfect way to taste, reflect on and explore the hoppy drop in all its glory. Wash your libations down with finger-licking food, or up the ante with a beer cocktail. Check out the outrageous brewery displays, then head for the beer-matched silent discos. Road to Beervana will take place from 3-12 August in the lead up to Beervana. For more information, visit beervana.co.nz/road-to-beervana.